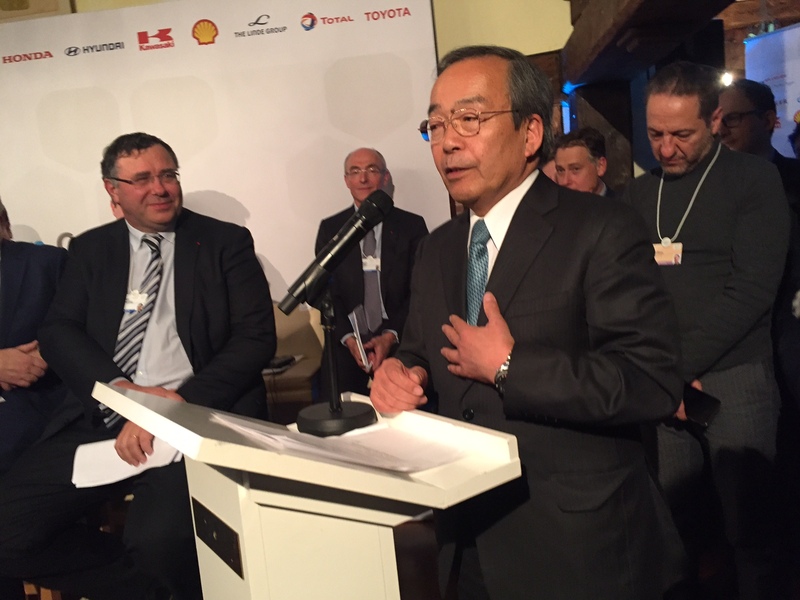 Meeting in Davos for the first time, the ‘Hydrogen Council’ is currently made up of 13 CEOs and Chairpersons from various industries and energy companies committed to help achieve the ambitious goal of reaching the 2 degrees Celsius target as agreed in the 2015 Paris Agreement. The international companies currently involved are: Air Liquide, Alstom, Anglo American, BMW GROUP, Daimler, ENGIE, Honda, Hyundai, Kawasaki, Royal Dutch Shell, The Linde Group, Total and Toyota. The Council is led by two Co-Chairs from different geographies and sectors, currently represented by Air Liquide and Toyota. This Council is determined to position hydrogen among the key solutions of the energy transition.